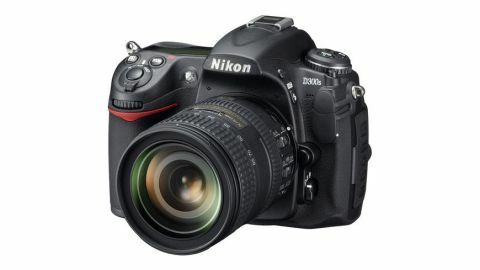 The Nikon D300s is the latest 12 megapixel snapper in Nikon's DSLR range. The top end of the amateur DSLR market has never been so tempting. For those willing to forgo the luxury of a full-frame body such as the Nikon D700, Canon 5D MK II or Sony Alpha A900, you'll save more than £500 if you opt for a cropped-frame monster such as the Nikon D300S. For instance, our D300S came with a 16-85mm lens and will cost £1,500. For a full-frame camera from Nikon, Sony or Canon you'll have to spend nearly £2,000 to get just the body. And to the untrained hand, it's very hard to see why the D300S is so much cheaper. Compared to Nikon's gorgeous D700, for instance, it feels nearly exactly as well-built. The body is made from magnesium alloy and is shelled in exceptionally tough-feeling rubber at every point you're likely to hold it. The natural trade-off is weight: the D300S weighs nearly a kilogram before you even attach a lens, but for dedicated photographers – particularly those who like to tote their camera everywhere they go – the extra build-quality is reassuring. The D300S feels like it will take all sorts of abuse before it gives up. It's not just the grips that feel good: every point that opens, such as the thick rubber flap guarding the USB and HDMI ports, plus the memory slot cover, have rubber seals, theoretically protecting the D300S' fragile innards from downpours. To say we'd be happy to take it into a jungle is an understatement: the D300S feels positively bombproof. And it isn't just tough on the outside: Nikon claims the shutter mechanism has been tested to 150,000 actuations. That's enough to take more than 100 shots every day for the next four years before you get close to the D300S's theoretical minimum. Indeed, the only weak point on the camera we could identify was the plastic backing on the manually activated pop-up flash.